Recently I was watching the semi-finals of the Hong Kong Open and between the games my attention was caught by bananas lying on the benches next to the squash rackets. I realized then that I´m not the only one who always shoves two bananas into my squash bag as I go to my training session. If the pros swear by bananas, I think it´s a good idea to learn more about the benefits of eating these yellow fruits before, during and after squash. The unique blend of vitamins, minerals and slow carbohydrates in bananas are an optimal supplement to raise your energy levels during or right after an intensive squash session. Bananas are an excellent source of potassium, magnesium, vitamin C, copper, vitamin B6 and fiber. In high-intensity interval sports, such as squash, your carbohydrate, sodium and potassium levels drop. 15 to maximum 30 minutes after the training session or competition match is the ideal moment to replace some of the burnt nutrients. Potassium is important for your nerve and muscle functions. A high potassium level prevents muscle cramps during and after squash. One banana has no less than 450 mg of potassium which is 13% of the daily recommended amount. This reason alone would be enough to make the banana the favorite snack among top athletes, but there are more benefits in eating this fruit. Magnesium is another mineral that your muscles need during exercise. If your magnesium level drops too much, you may suffer from cramps, general weakness or muscle tingling. 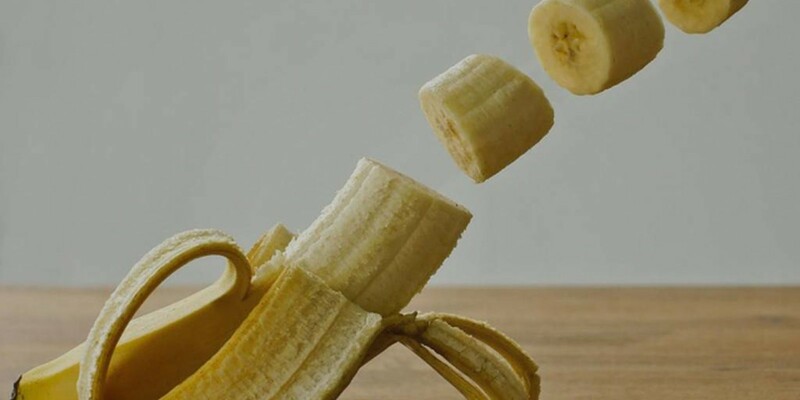 By eating a banana you quickly raise your magnesium levels: a banana contains 34 mg of magnesium which is about 12% of the 400 mg you need every day. In addition, bananas are rich in fiber. One banana contains no less than 3 grams of fiber. Fibers ensure that the carbohydrates are slowly converted into sugars, and the slower your blood sugar level rises, the better. This way your energy level maintains stable for longer and you´re less affected by a dip. Remember that playing squash burns a lot of energy. Eating two bananas during a hard squash session reduces the risk of coming to a point where your body has burnt all the energy it had and you cannot carry on any longer. What about the famous carbs? A banana contains around 100 calories and 30 grams of carbohydrates. Carbohydrates are essential for the recovery of your muscles after exercise. However, research has shown that your muscles recover even faster and better if you take in carbohydrates in combination with proteins. Some players like to make a smoothie or protein shake at home and take it to the club, but it can be much easier: make sure you always have a bag of nuts in your squash bag and eat them together with a banana. Nuts like walnuts, cashew nuts and almonds are very rich in proteins. If you swear by banana smoothies, add some seeds like chia seeds and linseeds. These are also excellent sources of proteins that, like nuts, are easily and quickly absorbed by the body. Nuts and seeds are also a great source of sodium. Sodium is another elemental mineral that is necessary for the recovery of the body after a workout. This mineral, the component of the table salt, helps to retain water. If you sweat a lot, your body secretes a large amount of sodium. That´s why it´s important to quickly supplement this mineral after squash. Last but not the least, bananas are relatively cheap and easy to take with you everywhere. In its natural thick skin it´s already well packaged, just remember to grab it from the fruit bowl before going to your training session. That´s how easy it is.